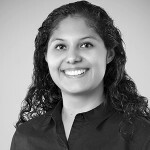 Ms. Palomino has worked in the training and education field for more than six years. Prior to joining the Technical Training Institute, Ms. Palomino managed the training activities for The Asbestos Institute, an established provider of specialty training curriculum in the asbestos, lead, and EPA/OSHA compliance. Ms. Palomino is a graduate of Northern Arizona University, where she received a Bachelor’s of Science in Construction Management. Ms. Palomino’s past accomplishments include experience with environmental protection and hazardous materials disposal and handling. She is also knowledgeable in environmental regulations, recognition of hazardous materials, hazardous disposal procedures, and personal hazardous materials handling. Her duties and responsibilities include customer assistance, maintaining training schedules, and troubleshooting and resolving certification issues. Erica is recognized in her field for her exceptional work ethic and customer service.